Adjustable closure with snaps. Double thickness of padding on the belly and on the back. A small opening on the back allows you to attach the leash to your dog's harness. 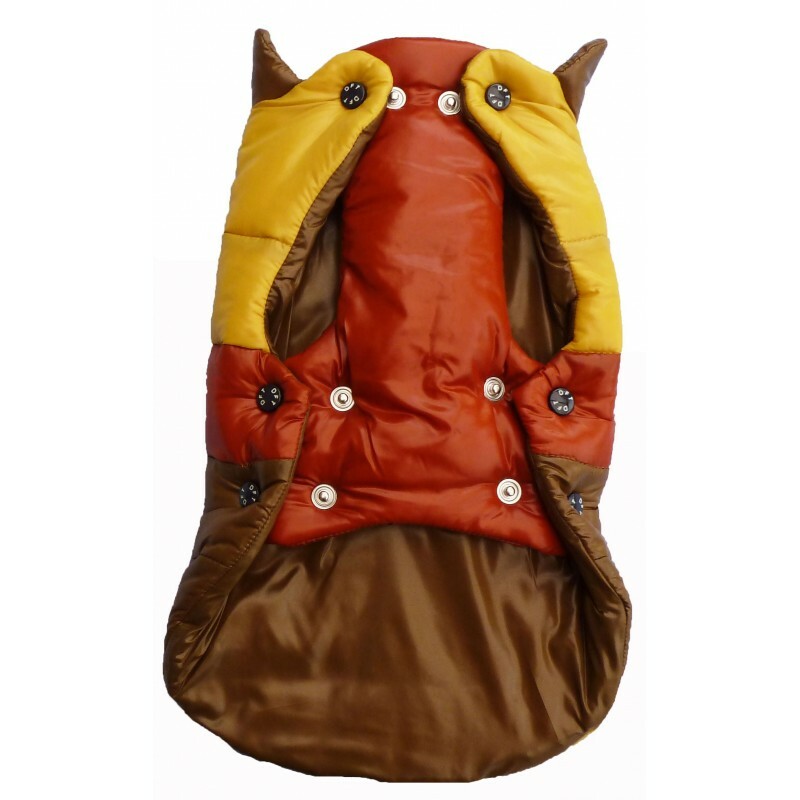 Protect efficiently your dog from cold with our very hot puffer vest ! 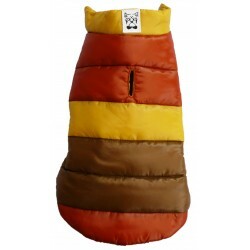 This high quality puffer vest is a modern, unique designer creation of Dog French Touch. The association of colors on this puffer vest is something you won't see anywhere else, this is an original idea of Dog French Touch. 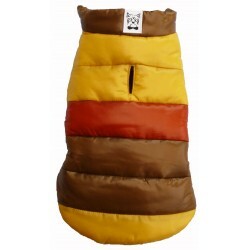 Very hot puffer vest with a double thickness of wadding both on the belly and on the back. Ideal to go to the mountains with snow weather. Dog French Touch pays special attention to the beautiful quality fabrics used in our products. All the snaps we use on our dog clothes have the REACH CERTIFICATION. That means that no dangerous chemical susbtances in our snaps might have a bad impact on your dog. REACH is a new European Community Regulation on chemicals and their safe use which stands for Registration, Evaluation, and Authorization of Chemical substances. The aim of REACH is to improve the protection of human health and the environment through the better and earlier identification of the intrinsic properties of chemical substances. The REACH Regulation gives greater responsibility to industry to manage the risks from chemicals and to provide safety information on the substances. 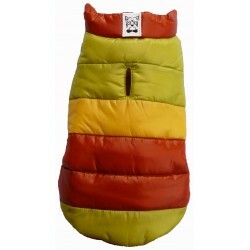 Puffer vest are available in 6 sizes. Be careful: the measure of the chest is the most important to choose the right size. Our puffer vests are very close-fitting. 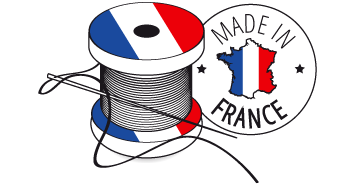 The Dog French Touch brand has a particular interest in French manufacturing and beautiful finishing. This puffer vest was entirelly made in France, manufactured in France's Vendée region, in Moutiers les Mauxfaits.